You guy, suppose your WhatsApp message deletes accidentally is normal circumstances, So WhatsApp offers a most needful setting that takes a backup or restores on iPhone and iPad installed latest iOS. 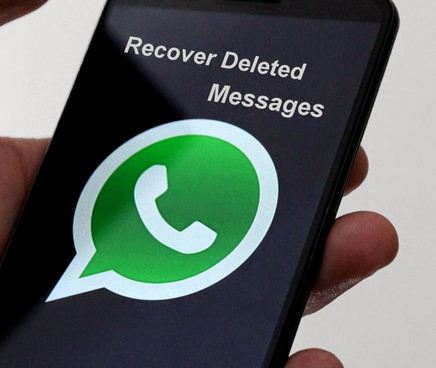 Using this feature, you can regain or recover deleted WhatsApp messages (Conversations) or Get back old Whatsapp messages at any time directly in your WhatsApp account. Before that WhatsApp have some normal boundary in recover deleted WhatsApp messages for security reason only, are you finding the perfect way to take past message then, at first follow the below instruction. Auto backup and restore conversation must be connected with the same registered number. After set above settings your WhatsApp backup automatically saves in your iCloud account. Launch WhatsApp > WhatsApp Settings > Chat settings > Chat Backup and choose Backup Now option. WhatsApp tips: How to send the message to multiple contacts in WhatsApp [iOS]. From here you can see the list of all backup taken in the past in your iCloud account. Choose yours prefer WhatsApp backup that includes your all conversations before those days. Now, you have found your backup inside chat back up. So proceed to the next step. Step 4: Uninstall WhatsApp from your iOS device and Reinstall it from iTunes. Step 5: At the installation time, you can restore your chat history from WhatsApp backup added in iCloud. So tap on Restore your chat history prompt. It will take time depends on your internet connection speed automatically. After successfully restore you can see all the conversations again in your same WhatsApp account. Re-Download paid apps: How to re-download purchased music from the iTunes store. Here you can find solution Recover deleted WhatsApp messages or all conversation in iPhone and iPad. So don’t miss to share, how this article helps you and others in below comment box. We are greeting more and more tips throughout your mail also.